Preheat oven to 350F (175C). Line two baking trays with parchment paper; set aside. In a medium bowl thoroughly combine cake mix, eggs and butter until smooth. Portion into 1 tbsp (15 mL) sized balls and set 4-5 cm apart on prepared baking trays. Bake 6-7 minutes. Remove trays from the oven. 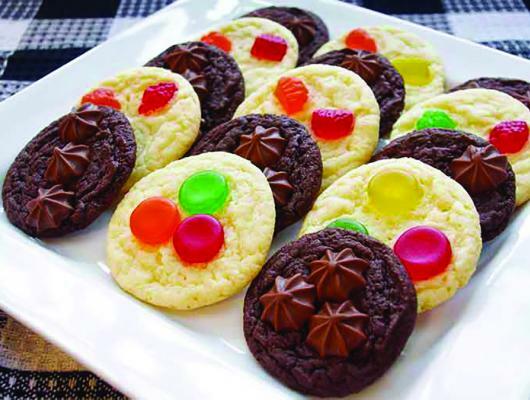 Decorate using jujubes (cut side down) or mint buds, pressing firmly into the cookies to ensure they stick. Return to the oven for 3-5 minutes longer or until just starting to brown around the edges. Cool completely on the tray before serving. 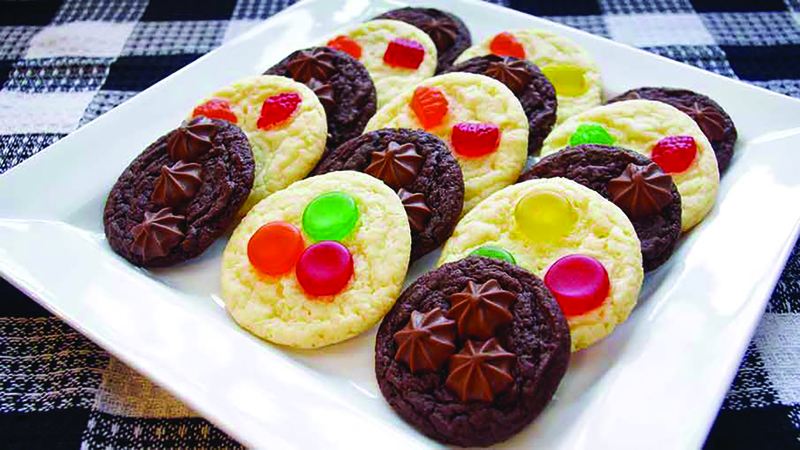 More cookie recipes are available at www.walmart.ca/recipecentre. Soft and chewy cookies will be a welcome addition to any dessert table. Using cake mix makes preparing the dough quick and simple with delicious results.